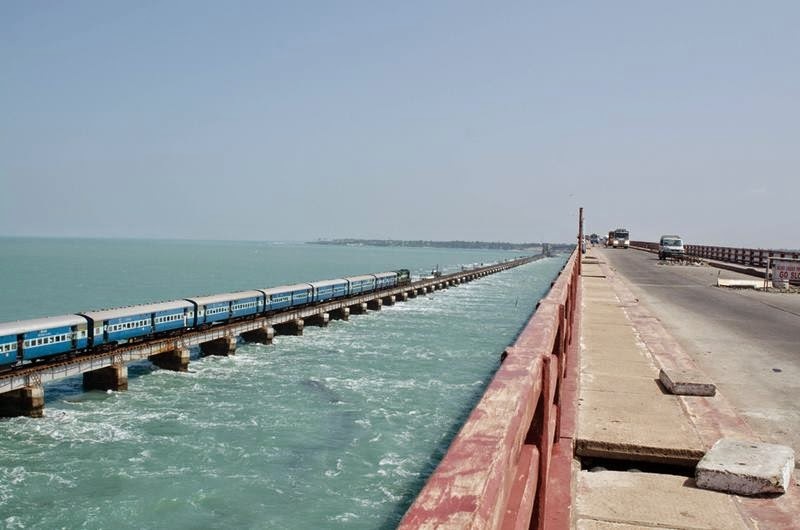 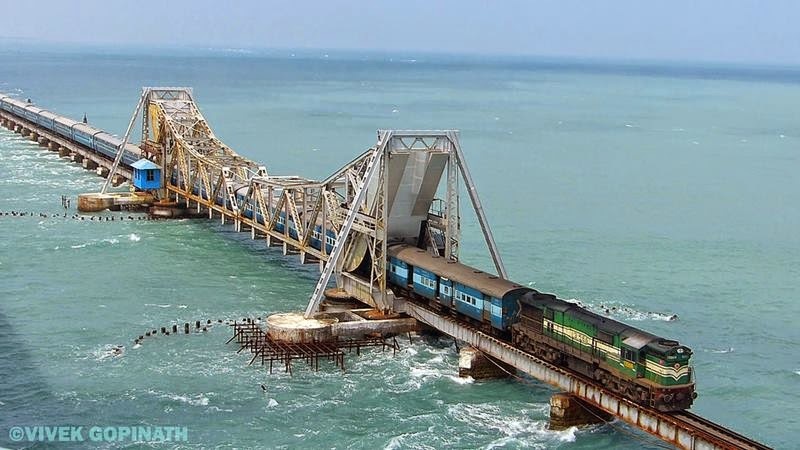 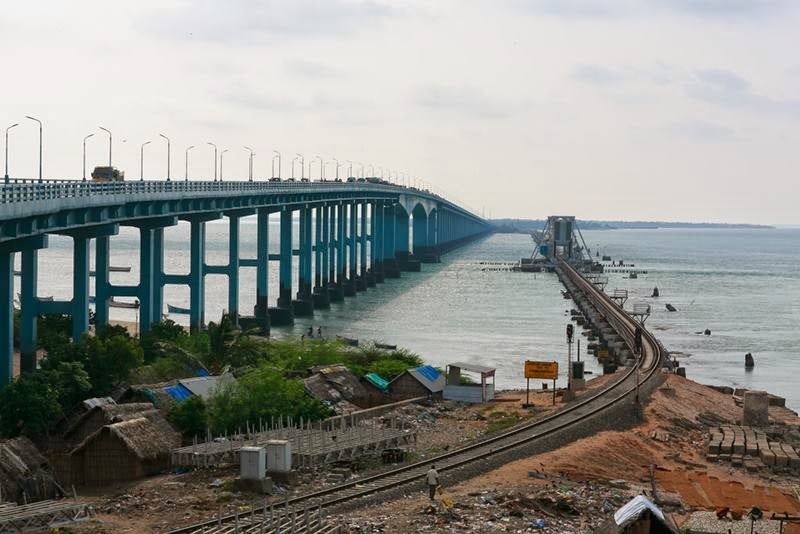 The Pamban Bridge is a cantilever bridge on the Palk Strait which connects the town of Rameswaram on Pamban Island to mainland India. 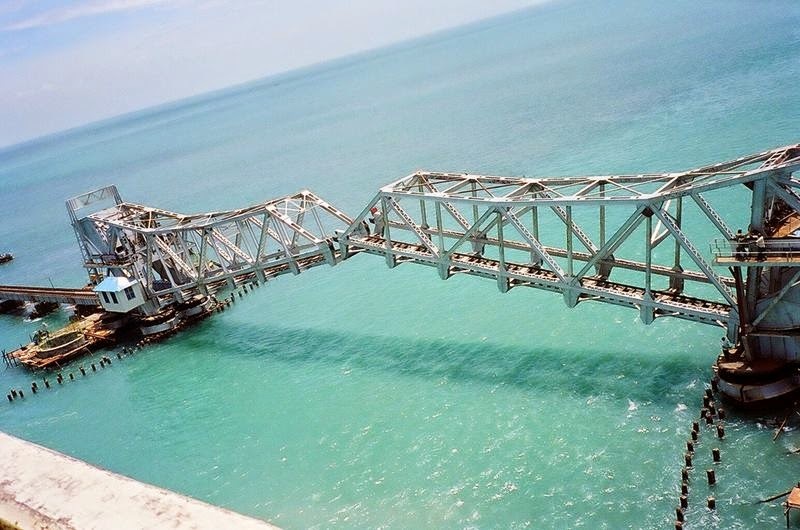 The bridge refers to both the road bridge and the cantilever railway bridge, though primarily it means the latter. 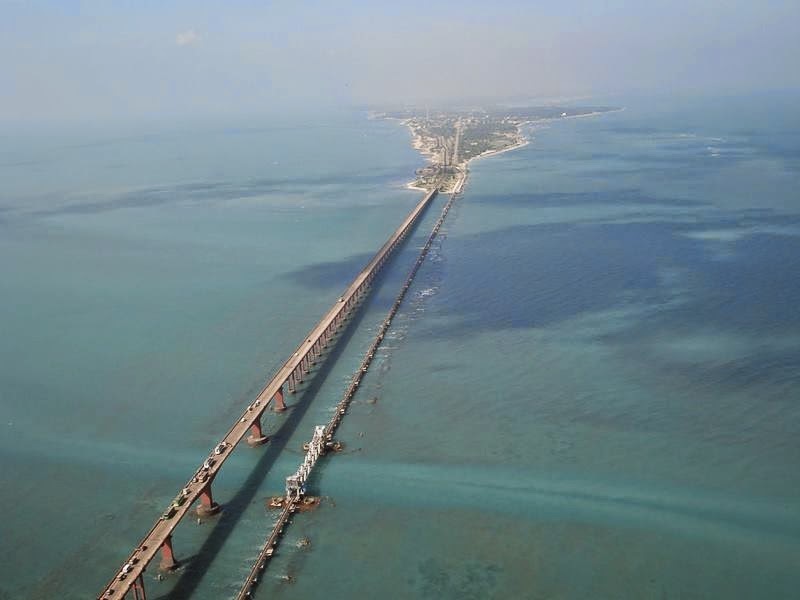 Opened in 1914, it was India's first sea bridge, and was the longest sea bridge in India till 2010. 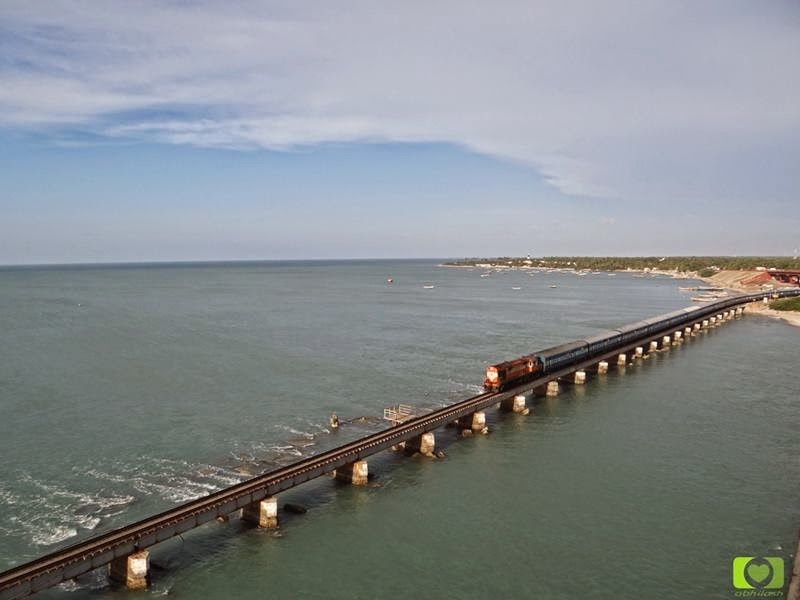 The rail bridge is for the most part, a conventional bridge resting on concrete piers, but has a double leaf bascule section midway, which can be raised to let ships and barges pass through. 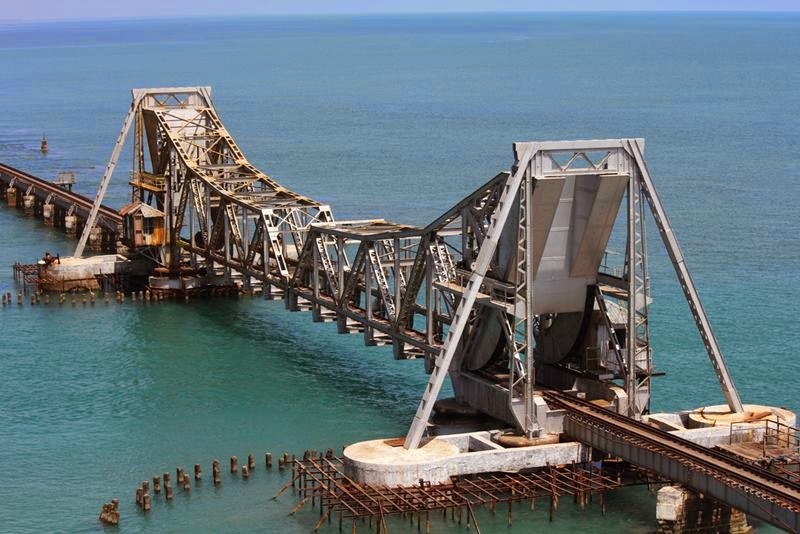 On 24 February 2014, the Pamban Bridge marked its 100th anniversary. 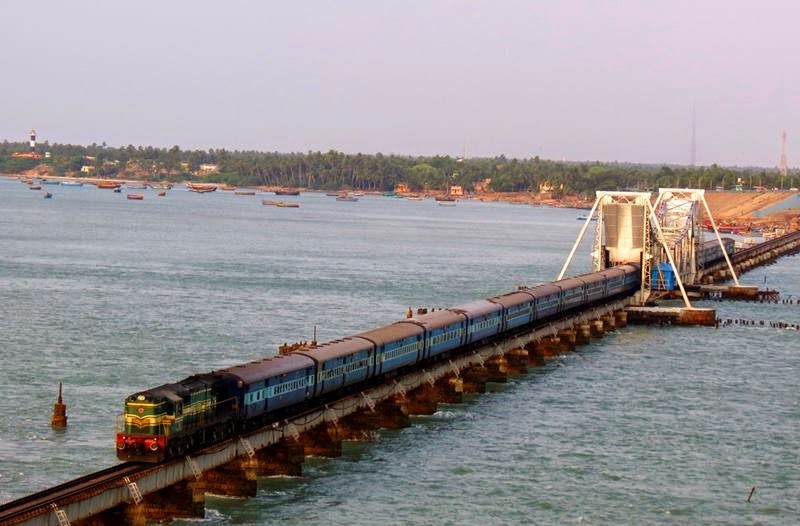 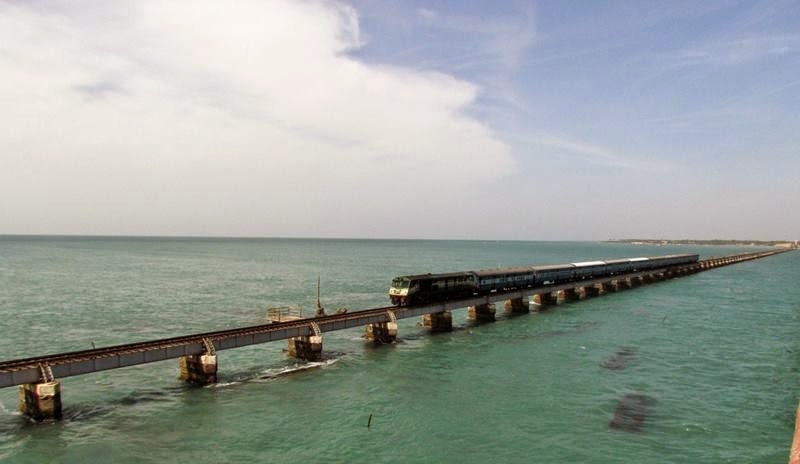 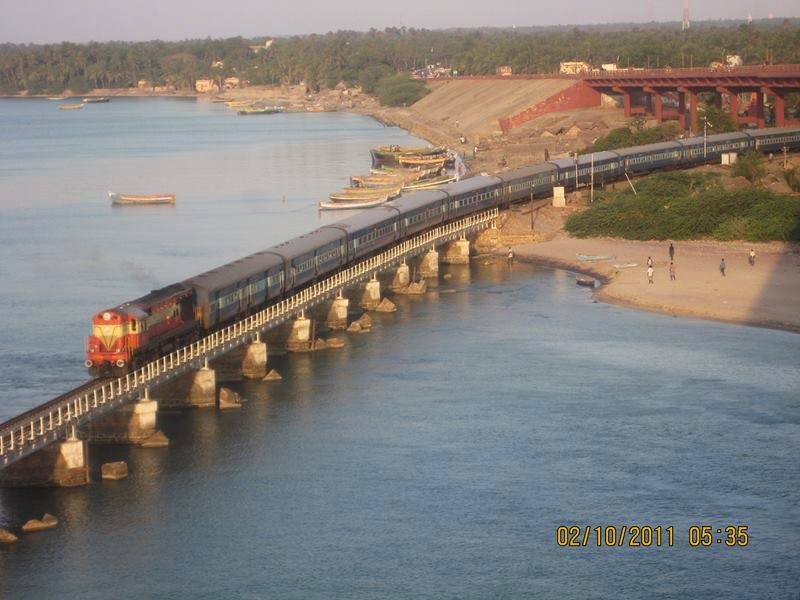 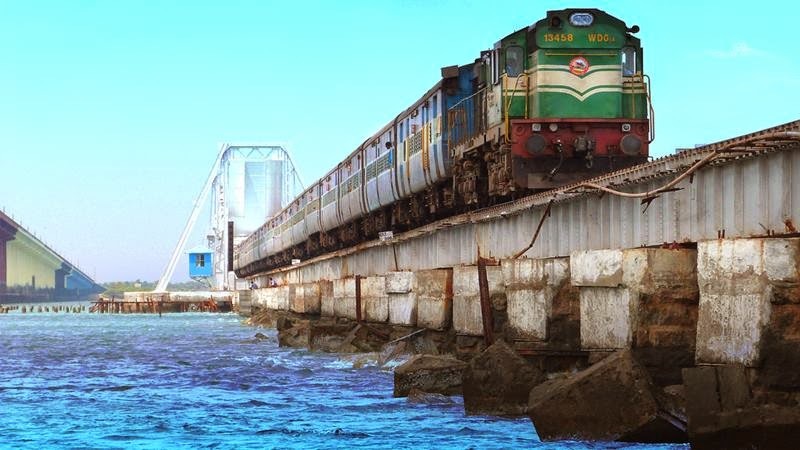 Pamban bridge train on sea boat mail.